Some watch brands are so based in their history that they miss out on the latest evolutions of modern horology. However, at TechnoMarine where “Innovation is the rule,” innovation isn’t just an aspiration, it’s a given. Don’t believe me? 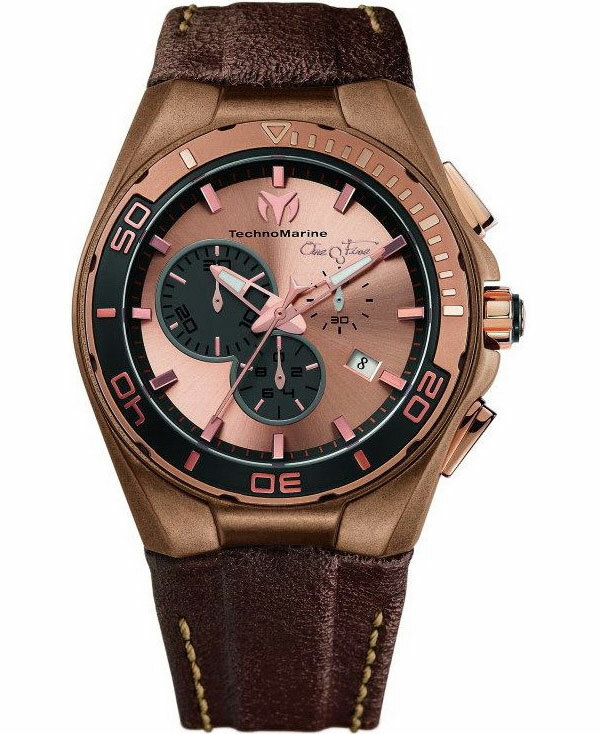 Just check out the TechonoMarine Steel Evolution Watch, the brand’s latest design that carries the strength of one of the world’s most versatile metals and the timelessness of the ocean itself. The timepiece is the latest in a whole host of pieces that feature strong materials with softer design elements. In the case of the Steel Evolution, the watch juxtaposes the strong steel with a softly distressed look inspired by churning waves. This effect is achieved through the stonewashed case, featuring an antique stainless steel look with pink gold accents on the unidirectional bezel, mirroring the brushed pink gold dial face with black accents. The distressed vintage leather strap with contrast stitching plays off of the pink gold beautifully, adding a glow to the piece. Pink gold not to your taste? Try the acid washed stainless steel case with silicone strap and red stitching. This is a less formal version of the watch, but it still maintains a nice balance of solid elements against an artistically well-worn look. 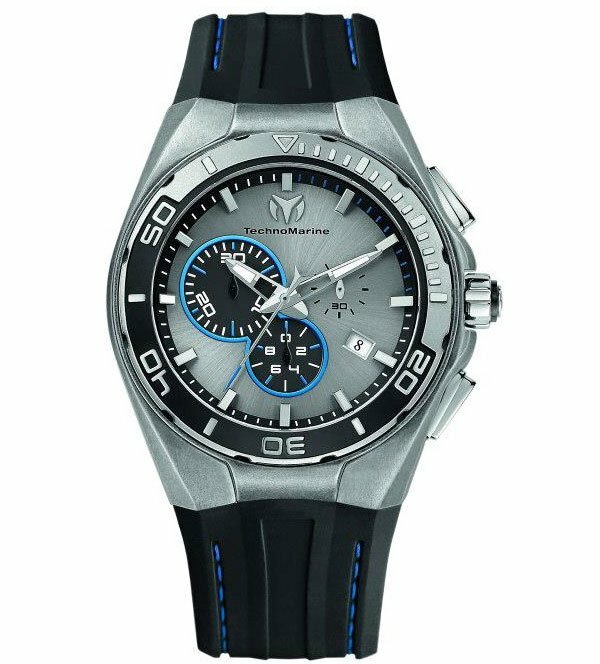 TechnoMarine watches identify with one of four specific environments; in this case the timepiece focuses on the beach (the others, if you’re curious, include “navigation,” “the city,” and “dip”—whatever that means). The brushed metal cases in both versions is supposedly influenced by the gentle erosion of ocean waves, and the pink gold version even manages to capture the colors of a sunset in a peaceful cove. Many diving watches include nautical elements, but few realize the aesthetic as subtly and as elegantly as TechonMarine’s Steel Evolution. The watch isn’t just nice to look at, but an excellent investment as a diving watch. Water resistant up to 20 atm—200 m or 660 ft depending on where you call home—the watch is one of the most cost-effective diving watches on the market. The chronograph is powered by a Swiss 5040D quartz movement is reliable, particularly for those involved in high-impact adventures. The stone-washed element of the TechnoMarine Steel Evolution is a new take on an old favorite—the diving chronograph. The watch is cleanly designed and has just enough character to lend the timepiece a subtle shine.